At pro-manchester, Sam has been an integral part of its growth from a small, effective membership network to a sophisticated business development organisation. 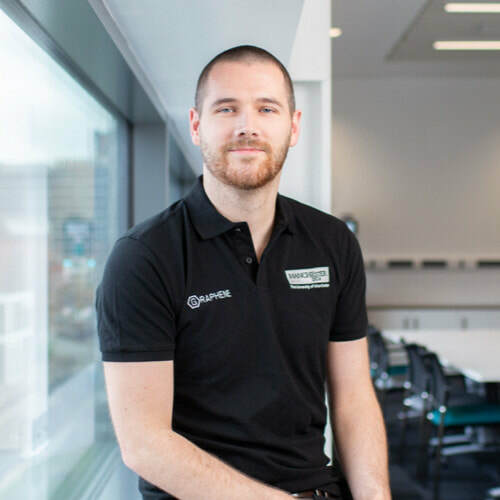 A firm part of the Manchester business community, Sam is a familiar face to most, constantly and efficiently working to bring businesses together in the city region. As chief executive, Sam is responsible for the organisation’s corporate engagement as well managing all existing key partnerships and member relationships. Whilst providing support to her team, Sam manages the day-to-day running and strategic direction of the business. Sam also sits on the board of trustees for Forever Manchester, a charity that supports community activity across Greater Manchester. As well as sitting on the City of Trees Executive Advisory Group and the Greater Manchester Organisational Representatives Group. Pete supported computer graphics systems for film and television using Silicon Graphics (SGI) technology before moving into installation and configuration of high performance computing clusters and large memory systems for SGI. HPE acquired SGI to become the world leader in HPC. Pete's customers comprise a variety of industries such as F1 racing, genomics, education, oil and gas, engineering, and scientific research. At CGI, Mark develops key go-to market propositions in Emerging Technology areas, gaining market traction and building organisational capabilities to support scalable delivery to clients across multiple industries. Mark has worked in the digital arena for 20 years, including Digital Director roles at the Ministry of Justice and House of Fraser and Head of Digital roles at British Gas, BT, Boots and Thomas Cook. Mark has also worked within the digital teams at Virgin Media, AXA Insurance and Liberty-of-London and provided digital consultancy to White Stuff, RS Components, Sainsbury’s, TalkTalk, Sky and Yahoo. Katherine has been a primary teacher for 16 years and is the Assistant Head Teacher at Blackrod Primary School. Katherine has taught across Early Years, Key Stage One and Key Stage Two and is presently a Year 6 teacher. She currently has responsibility for Standards in Teaching and Learning, Assessment, Quality Assurance and Key Stage Two. Throughout her career, Katherine has lead a range of curriculum subjects including Mathematics, Computing, English and PE and is part of the school’s curriculum re-design. Katherine was part of the recent Channel 4 documentary ‘Class of Mum and Dad’ which saw a group of parents join the school as a Year 6 class and experience what life is like in a primary school today. Nic is BDM within Graphene@Manchester - the Industry-facing body for all graphene research within the University of Manchester. That includes the National Graphene Institute, the Graphene Engineering Innovation Centre, and all graphene research within schools of the University. Nic's role is to work with companies to explore how graphene could be applied to their industry, and work with academics and engineers to deliver those projects. Aine has been working with and for SMEs in the digital and tech sector for the last 6 years. Following a stint working in e-commerce in Europe, she had officially caught the bug and has spent the last couple of years firmly immersed in the Northern start-up ecosystem. 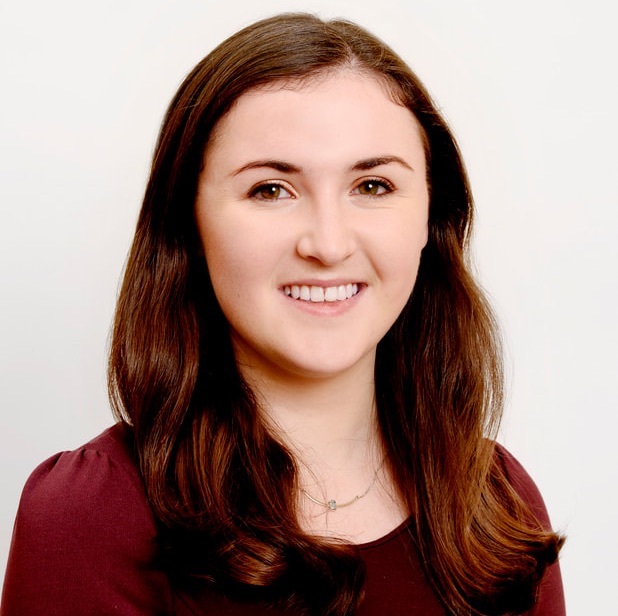 Aine has recently completed two PwC scale-up programmes in the North West and Yorkshire, working with fast-growth businesses to support them in upskilling their management teams and connecting them to corporates to drive mutually beneficial commercial opportunities. Aine is passionate about supporting the SME sector to flourish and is considered an advocate for the sector. David's interests include how advanced technologies can be applied to modern-day industrial challenges, from advanced manufacturing, to smarter transport, energy systems and cities. 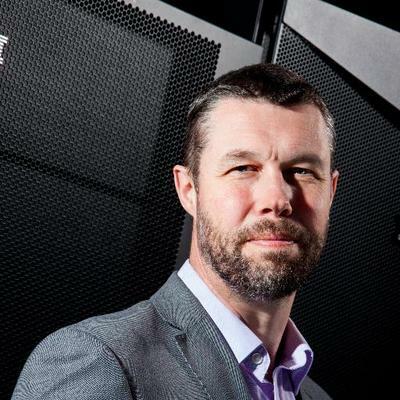 Prior to joining Siemens in 2017, he worked for IBM and the UK’s Science and Technology Facilities Council at the forefront of the application of future technology. Professor Mehandjiev is a Professor of Enterprise Information Systems, Alliance Manchester Business School. The most recent project in which he participates is DIGICOR – a platform to shorten the time for SMEs to jointly respond to business opportunities and simplify the management and control of production and logistics networks - a €10m project involving Airbus and Comau. He also coordinates Alliance MBS’ Big Data Forum and is the academic lead for the School’s new Data Visualisation Observatory – due to open later in 2019. Charlotte is a specialist commercial health lawyer at Mills & Reeve. She advises public and private healthcare organisations on a wide range of commercial and corporate matters including corporate/contractual structures, new care models and transformational programmes, as well as general commercial enquiries. She also has a particular interest in health tech and enjoys working with technology and digital companies operating in the sector. Leading on innovation for pro-manchester’s healthcare sector group, she is passionate about innovation and transformation within the sector. She loves to work with clients who are looking to break into new areas or do things differently. With an established background in eCommerce and having led an Agency-side conversion rate optimisation team, Matt is now a Digital Growth Advisor for the Business Growth Hub. Matt specialises in developing marketing strategies for B2B businesses and helping companies collect and interpret data on their site to ensure they consistently deliver an exceptional user experience for their visitor. Matt’s delights in the business growth potential that the effective use of digital technologies and analytics can drive within his Growth Hub client base. CYBG is a holding company that owns Clydesdale Bank, Yorkshire Bank, Virgin Money and the app-based banking platform B.
David joined CYBG in June 2015 as CEO having previously held a number of senior roles in the international banking industry including the position of Chief Executive Officer of Allied Irish Banks. David was also previously Chief Executive Officer of Standard Bank International covering Asia, Latin America, the UK and Europe. He was also previously Head of Global Wholesale Banking Network of ING Group and President and Chief Executive Officer of the ING franchises in the US and Latin America. Prior to that, he worked with Goldman Sachs International in various senior positions including Head of Human Resources Europe. In 2018 David was appointed by the UK Government to serve as a Government Envoy for FinTech. David's primary objectives in this role are to serve as an advocate for the Fintech industry, to ensure the UK’s FinTech sector develops across all regions and to encourage greater collaboration between FinTechs, banks and other financial services firms. Garry Prior has been in and around the technology industry for more than 20 years, largely in product management and leadership roles. Highlights include 9 years at O2, where he was product manager for a number of services during the early growth of smartphones, apps and mobile data, and also launching Rackspace’s cloud hosting products in UK and EMEA. 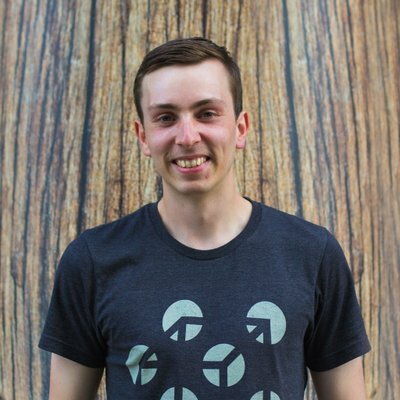 After a couple of years in fintech at Barclays, Garry is now Director of Product for the THG Ingenuity platform at The Hut Group. Garry is a firm believer that great products only come about through the intersection of technology, business processes, customer support and user experience. Or as he is frequently heard to say – “It only works if it all works”. Beckie is an Ambassador for Tech and Women in Leadership, and the Co-founder of Women in Technology Northern Chapter. In 2017, she launched Tech Returners, to empower returners and enable their opportunities in tech, by providing development and creating accessible routes into businesses through continual training and technology, resulting in more diverse and inclusive workforces. This work has seen the project shortlisted in the Northern Power Women awards for Innovation 2018 and for e-skills Initiative of the year at the Women in IT award 2019 for its practical guidance, and personal development coaching. Also, Beckie has recently launched a Tech Future Female Leaders programme where female tech leaders Develop themselves to Succeed to then Inspire others through being role models. 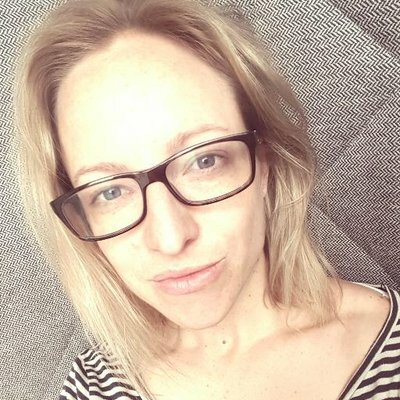 Beckie has also been shortlisted in the Women in IT Awards 2017 Advocate of the Year and Voted on of the Top 30 women in tech for Greater Manchester 2018. Caroline is obsessed with digital communication. She joined Apadmi from the Co-op, and she’s responsible for all digital content, customer and media relations. She’s most recently led a collaboration between Apadmi & The Drum, combining Amazon Alexa with traditional print media. She’s a champion of voice technology and how this emerging platform can help brands grow. David leads a team of security architects, helping both clients and CGI project teams to deliver secure cloud solutions and ecosystem deployments. Through engagements covering multiple geographies and industry sectors, David maintains a global perspective on his area of expertise. This is supplemented through work across a number of internal CGI functions such as the CGI Cloud Advisory Council which sets the company’s overall cloud strategy in addition to external bodies such as TechUK and the Cloud Security Alliance. ​Niels Pedersen is Programme Leader of the MSc Financial Technology programme at Manchester Metropolitan University, England’s first post-graduate FinTech course. As a Chartered Accountant (ICAEW), Niels has worked at PwC and the Financial Services Authority before coming to academia. Paul heads up the team of commercial, IP and IT lawyers in Mills & Reeve’s Manchester office. He has a particular interest in how technology is going to transform our lives - he chaired a discussion about self-driving vehicles in Manchester a couple of years ago, appeared on Sky News discussing their impact on driving tests, and can't wait to commute to work in a fully autonomous car! Dr Ilaria Gori has a PhD in Robotics, Cognition and Interaction Technologies from the Italian Institute of Technology. She has been a Visiting Scholar in the Center for Computer Vision Research at the University of Texas. She specialises in developing robust machine learning applications for solving real-world computer vision tasks. ​After graduating in chemistry, Joe spent his early career in the steel industry carrying out manufacturing development of technical ceramics for use in extreme and high temperature environments. Following this, Joe then moved into consultancy, working for clients in the high temperature process industries on a wide variety of assignments in the steel, glass and ceramics industries developing and implementing energy and environmental management programmes. Clients included Pilkington, General Motors and Tata Steel. After a spell at the NW regional Development Agency where he was programme lead for energy and environmental technologies, he joined the University of Salford in 2012 as a Business Development Manager working to increase the University’s commercial income through academic consultancy and product testing services. ​Since October 2018 he has also project managed the commissioning of the recently acquired fully autonomous Navya shuttle bus. Pat’s passion for mobile development has seen him craft award-winning and life-saving native apps for Argos and the NHS. 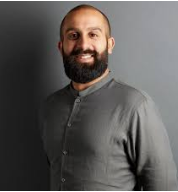 He’s extended that passion to voice and now leads Apadmi’s technical voice projects, helping guide and advise customers on how best to implement this new technology throughout their business, as well as working alongside Amazon to share his knowledge with the North-West developer community. Holly has 10 years of experience within Information Security, with a Master’s degree in Information Security with Privacy. Her time is split between management and penetration testing, although she regularly speaks at conferences and expos about new threats to security. Pauline is also the Information Systems Programme Manager at the Centre for Health Informatics, University of Manchester. At CAMHS.Digital Pauline leads digital innovations to improve the health and wellbeing of children and young people across Greater Manchester. At the Centre for Health Informatics, Pauline works with a team of software engineers, developers, data scientists, academic researchers, clinicians and members of the public building digital platforms for health research projects. Martin is the founder of Big Revolution, a consultancy that helps technology and media companies craft a narrative around their business and clearly define their proposition. He was previously Editor-in-Chief of international technology publication The Next Web, and Community Editor at Tech North, where he shone a light on the stories of start-ups and entrepreneurs in the North of England. Zee is passionate about hiring the world's best talent & nurturing a passionate high performance culture that creates lasting competitive advantage. But most importantly, he is passionate about hunting for talent, engaging with talent, developing talent and partnering with talent. Built on a foundation of industry-leading technology, a world-class team and a scientific approach to building global brands, The Hut Group are fast becoming the world’s most important online retail organisation. They are in the early stages of a once in a lifetime journey that will see the Group become the biggest Internet company to ever emerge from Britain, reaching global scale. Ilona runs the sector group programme at pro-manchester to support the 12 key growth industries in the city. She is an enthusiastic networker, both online and offline, with a passion for personal development. Having competed internationally in public speaking and debating, Ilona has hosted numerous high-profile events, including the North West Charity Awards and the Ten Outstanding Young Persons honouree ceremonies. Keen to give back to her community, she runs public speaking and networking training courses for young people across the UK and Ireland. Previous roles include: Employer Liaison Consultant at the University of Salford; Operations Director at Diced Limited; and Commercial Litigation Solicitor at DLA Piper. Alongside her day jobs, Ilona is a JCI senator and was 2014 President of JCI Sheffield. Simon is currently IT Director for Together Financial Services, leading a transformation over the last five years of the IT applications and infrastructure, digitising processes, integrating partners and enabling the deployment of advanced analytics. Prior to this Simon has led IT and Business change at RAC and Lex Vehicle Leasing, and spent some years in independent CIO advisory services. With a passion for using innovative digital technologies to drive a transformation in business performance, Simon is proud to have played his part in enabling Together to more than double the size of its business in the five years that he has been a part of the leadership team. Simon holds an MA in Physics from Oxford University and is an alumnus of London Business School. As head of TLT's Digital sector, James leads the development of the firm's services to organisations in the technology, media and telecoms sectors. 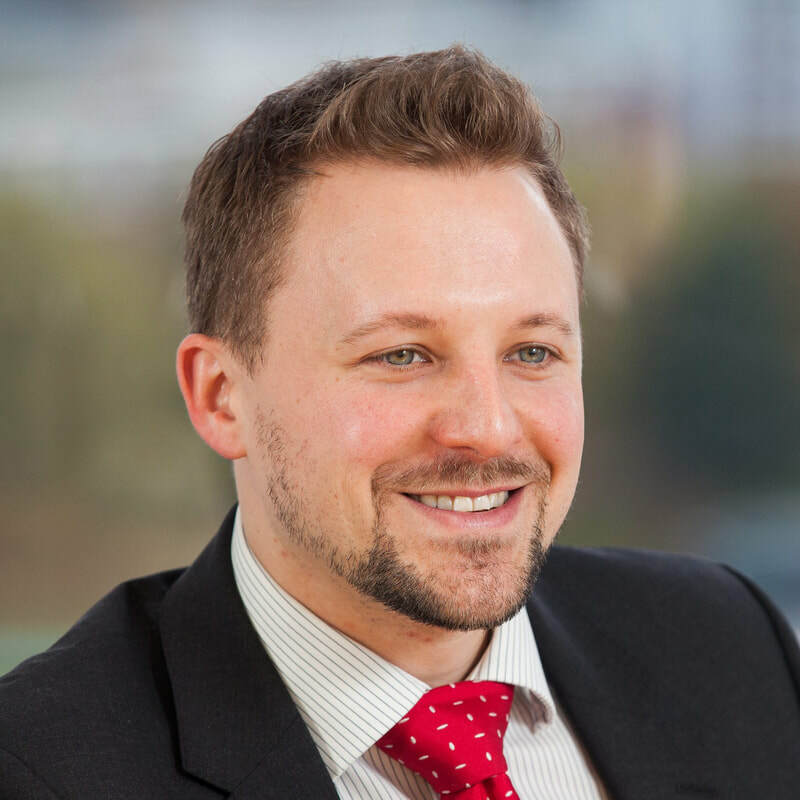 James leads the firm's transformation agenda driving change more rapidly in the way the firm delivers legal services and products to clients. This includes the Future Law initiative and TLT LegalSifter, which are new solutions to client challenges in areas across LegalTech, near-legal consulting and contracts. He is also known for his work with digital businesses and other organisations in the creative sector, handling research and development collaborations, social media and content licensing arrangements. James is a trustee of Watershed Media Centre and a director of iShed CIC - a community interest company set up to promote collaborations across the media & technology sectors. James is independently recognised as an expert in the field of Information Technology by Chambers UK, a guide to the legal profession. David is an authority on IT, outsourcing and technology-driven procurement, with a particular focus on clients in financial services and the technology sector. David regularly acts as lead advisor for customer and suppliers to deliver complex and strategic technology projects, collaborations and commercial contracts of all shapes and sizes. He is ranked as a leading individual in both Chambers & Partners and Legal 500, the independent guides to the legal profession. David is a published author and speaker who is regularly sought out for his industry insights, including recent articles and speaking slots for Lawyer Monthly, Information Age, Banking Technology and the Building Societies Association. In November 2018 David has co-authored a ground-breaking research report on Open Banking, which is shaping the future of financial services. Anthony is chief executive and co-founder of OpenMoney, passionate about making financial advice accessible and affordable to everyone. He has considerable experience of the financial services industry, most recently as founding partner of discretionary fund manager Tatton Asset Management. Previously, he was a consultant at both Arthur Anderson and KPMG, specialising in regulatory, performance and strategic issues for the life and pensions sector. Sam has worked in the digital space for over 20 years and is currently leading the customer-centric developments at fast paced, ambitious fin-tech company OpenMoney, who are using technology to change the financial advice landscape. Prior to this he was at Shop Direct, where he was responsible for various aspects of the digital experience, playing a central role in company’s transformation from a catalogue business into a digital retailer. Mark has worked with major Blue Chip organisations across Europe to design and develop specialist insurance policies tailored to their individual needs. These have included Cyber/Data Insurance programs, specialised Fraud cover for payment institutions and Cryptocurrency insurance products. 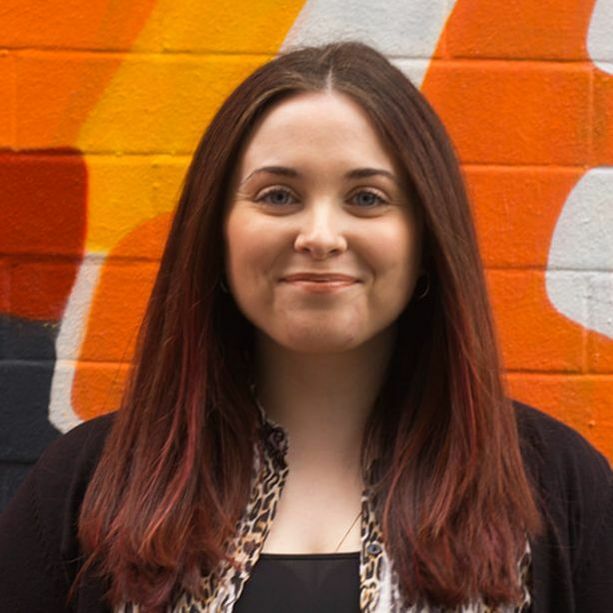 With a passion for technical innovation and software delivery, Anna’s career began within the frenetic world of digital agencies before she went “corporate” in 2006, joining Moneysupermarket. ​The pursuit of technical progress within a fast-growth environment suited Anna, who found similar homes at On The Beach and Hotels4u, where she did what she enjoys most: building tech teams that continuously challenge and experiment with leaner ways of working. In recent years, Anna worked on large scale transformation projects for the BBC and Co-op, before being headhunted by Hiring Hub thanks to her technical prowess and world class leadership skills.